This project involved creating engaging exhibition displays that communicate Air BP’s latest offers. 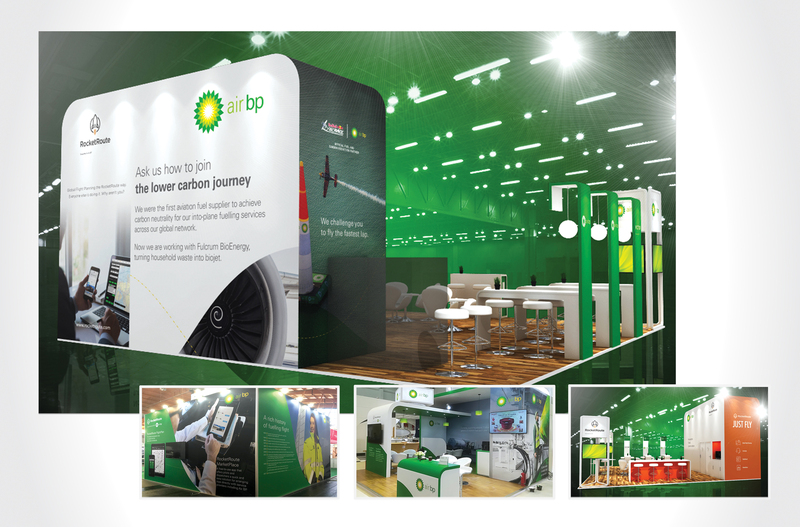 Often stands incorporate co-exhibitors with businesses Air BP are working with. The challenge is to communicate offers in a clear, engaging way to create intrigue and discussion, whilst incorporating co-exhibitor messages and enticement for visitors to step into the environment.